Symptom: No video output on the composite video output through 26 pin cable. Subject: Power turns on and off when pressure is applied to the left cover. Symptom: Customer complains power turns off intermittently. Applying pressure to the left cover restores power only while continuos pressure is applied. Subject: Open CP3 on PS board. Symptom: When using RM-P210U remote control with 26pin cables the CP3 on the PS PWBA opens. Subject: AGC level in black R and in black B cannot be adjusted. Symptom: AGC level in black R and black B cannot be adjust properly. Symptom: No power with batteries or dc input. Symptom: EXHIBITS ERROR CODE 4100 ON POWER UP WITH NO TAPE. Subject: Audio has static noise whithout microphone. Symptom: In the E-E mode, there is loud static noise at audio out jack. Subject: UNIT WON'T POWER UP WITH DC OR CCU. Symptom: DEAD, TOTALLY INOPERATIVE UNIT. Subject: Power will not stay on, DC or AC, contiually cycles between on and off. Symptom: Intermittant power up on remote supply/controler. Before you send or bring the camera to us for a repair: Your camcorder has a self-diagnosis display function. This condition displays your camcorders condition as a five digit code (combination of letters, numbers and figures) on the LCD screen display windows or on the view finder. If the five digit code is displayed. Check the error code chart, the last two digits indicated by □□ will differ depending on the state of your camcorder. 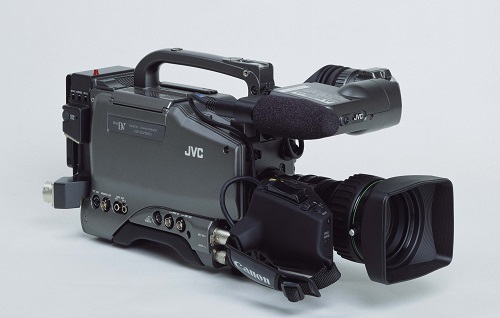 If you are experiencing following error codes on your JVC camera or deck, most likely your camera or deck hardware has failed and needs an immediate attention. Call chat or email us to find a quick resolutions.